The best travel changes you. A group getaway to this gathering place would be nothing short of an awakening. Connect to this ancient land as you sip sparkling wine under the stars and indulge in the Outback as you enrich your experience with authentic aboriginal tales. Adventure Australia. Amazement will be yours. Ayers Rock Resort lies at the gateway to Uluru - Kata Tjuta National Park, in Australia's Northern Territory. Uluru-Kata Tjuta National Park is home to two of the worlds most iconic rock formations. In the heart of this remarkable continent you'll discover the essence of Australia. 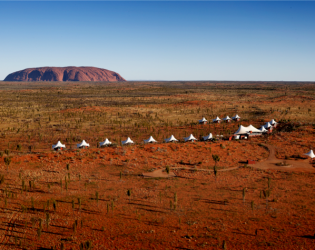 Ayers Rock Resort provides a variety of accommodation options for every possible taste and budget. 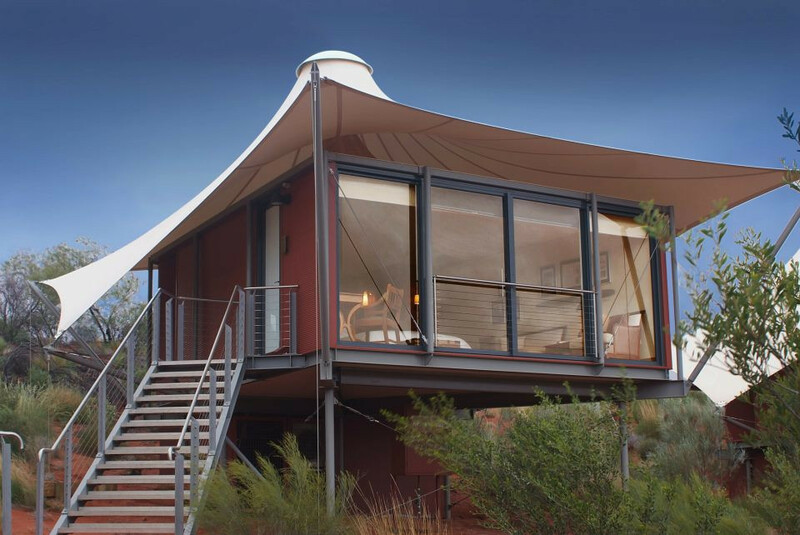 5-star Sails in the Desert: In the heart of Australia\'s Red Centre, Sails in the Desert hotel beautifully contrasts Uluru\'s raw natural beauty with a decidedly luxurious outback holiday experience. 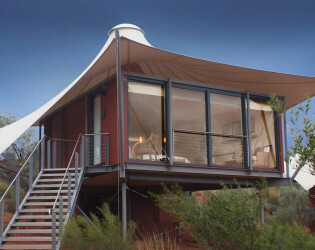 Soaring white sails crown Ayers Rock Resort\'s Sails in the Desert hotel, shading 228 luxury five star rooms and suites. 4.5-star Desert Gardens Hotel: A magnificent sanctuary of towering ghost gums and flowering native shrubs among the red dunes, Voyages Desert Gardens is a welcoming hotel. Diverse accommodation options include shaded poolside rooms or deluxe rooms with stunning views of Uluru. 4-star Emu Walk Apartments: Sheltered amongst gardens of native trees, Voyages Emu Walk Apartments offers terraced one and two bedroom apartment accommodation along pedestrian avenues. Spacious and well equipped, the Apartments can cater for up to six people - ideal if you are holidaying with family or friends. All apartments are self-contained, with separate kitchen, living and bedroom areas. 3.5-star Outback Pioneer Hotel & Lodge: Australian hospitality has its own style of service that combines both professionalism and genuine warmth. You\'ll find this authentic brand of service at the Voyages Outback Pioneer Hotel. 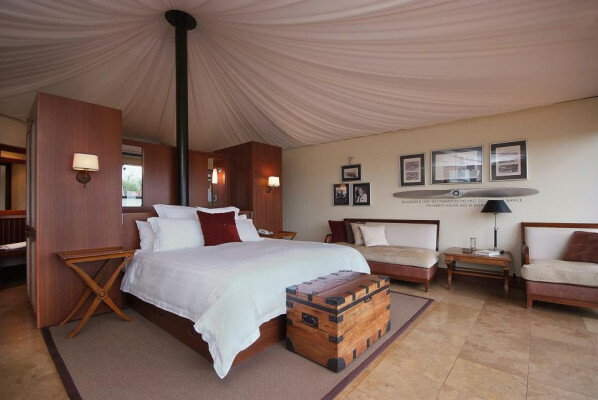 It offers comfortable, affordable hotel rooms with a private bathroom and is perfect for the demands of travellers looking for quality service in relaxed surrounds. 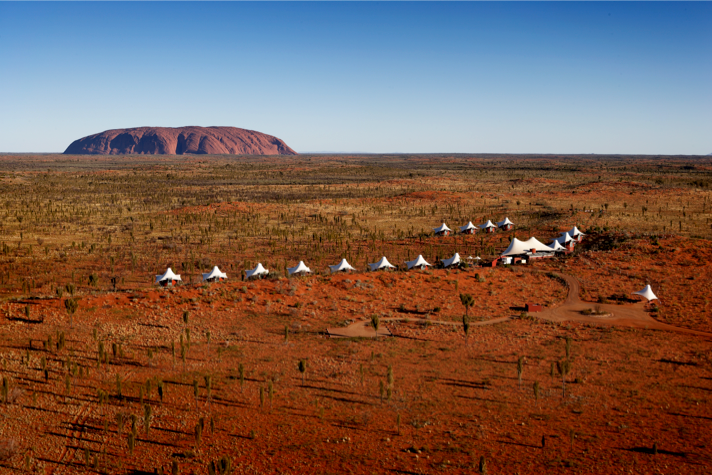 Ayers Rock Campground: Pitch your tent on lush green grass under the shade of native desert oaks. Ayers Rock Campground caters to various en-route travel camping needs, from powered sites and air-conditioned cabins to sites for caravans, campervans, motor homes and camper trailers. The Campground also provides a range of services and facilities to make the great outdoors truly enjoyable. Can you think of a more memorable setting for your wedding than one of the most remote wilderness regions on earth? At Voyages Ayers Rock Resort, you and your guests will languish in an oasis of comfort and relaxation, with one of the world\'s greatest natural wonders right on your doorstep. 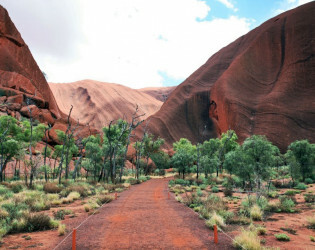 Discover the traditions of an ancient culture and explore the unique beauty of Uluru-Kata Tjuta National Park. Ride a camel across the desert dunes. 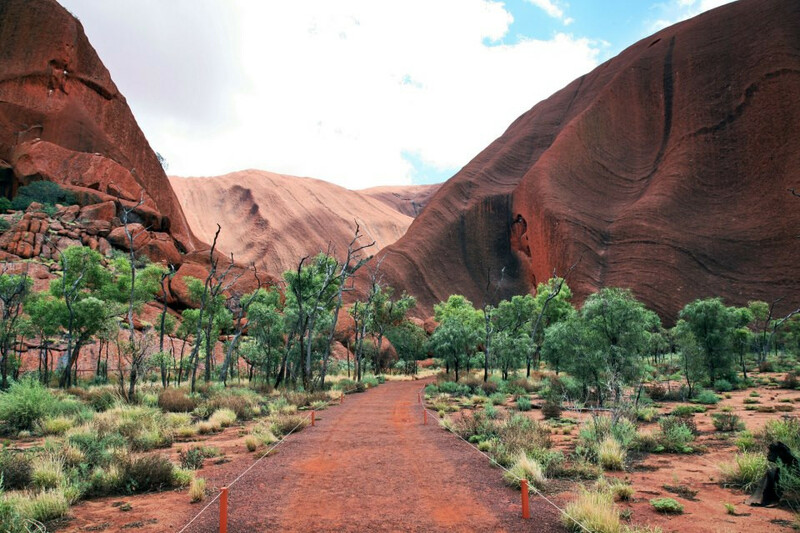 Embark on a base walk of Uluru. Dine under a canopy of stars at the award-winning \'Sounds of Silence\' dining experience. 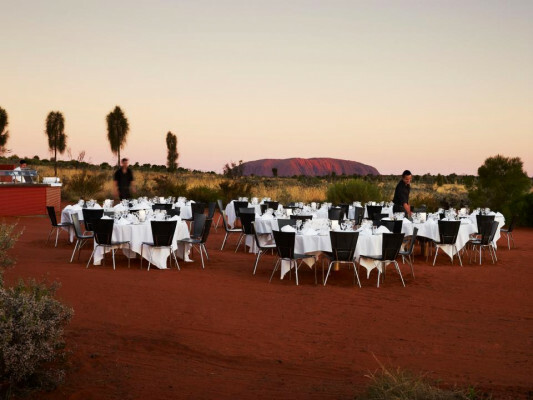 Dine under the stars with nothing but the beautiful expanse of desert and majestic Uluru for kilometres around at the must-do Sounds of Silence experience. 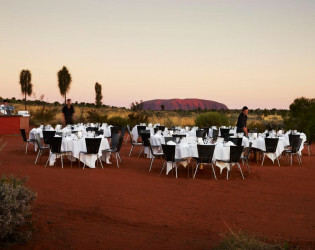 The Uluru Lookout is an ideal open air location for cocktail events and wedding ceremonies during sunset. The Lookout is situated on a dine top offering a stunning backdrop overlooking Uluru (Ayers Rock) and Kata Tjuta (the Olgas). Poolside at Sails in the Desert or Desert Gardens Hotel offers a perfect location under the ghost gums for a function. 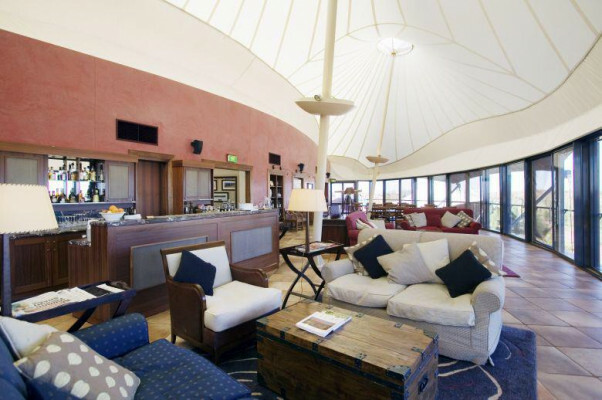 All six indoor function spaces at Ayers Rock Resort are peppered with traditional Indigenous design elements. Our flagship venue space, the Tjungu Ballroom, can easily be transformed into a high impact venue for elegant gala dinners, receptions and cocktail functions. Floor to ceiling glass windows line each end of the spacious ballroom providing living photographs of the vibrant desert surroundings. Iconic destinations offer a single quality that makes an event unforgettable. Only iconic destinations inspire. Feel the inspiring magnitude of the vast night sky, the overwhelming presence of the majestic rock. Listen to the stories of the local Anangu people, the whispering of the Desert Oak, the spark of life as the sun cracks the horizon. Here, a world-class event destination waits to be discovered. White linen table cloths, white linen napkins, silverware and glassware. Awards & Notables Winner Excellence in Business Tourism at the Australian Tourism Awards 2013 & 2014. The Award recognised Uluru Meeting Place’s premium conference facilities and its ability to cater to a wide variety of conferences and events together with providing unique offerings to delegates. Winner Excellence in Indigenous Tourism and Business Tourism at the Brolga Awards 2014. Winner Excellence in Indigenous Tourism, Business Tourism and Luxury Accommodation (Sails in the Desert) at the Brolga Awards 2013. Winner Best Indigenous Tourism Experience at the Gourmet Traveller Awards 2012 & 2013. 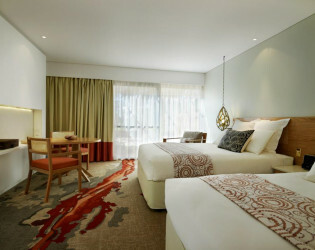 From your first step into this flagship venue, you will have no doubt that this is Australia\'s Red Centre. Subtle tributes to the local Anangu culture are woven into every fabric of this modern and highly adaptable space. Room can be divided into two rooms. - View: Floor to ceiling glass windows and door line each end of the spacious ballroom providing living phographs of the vibrant surroundings. The Wanari Room\'s sleek elegant lives expected of a luxury function space are peppered with traditional Indigenous design elements. Capture attention in this stylish setting. 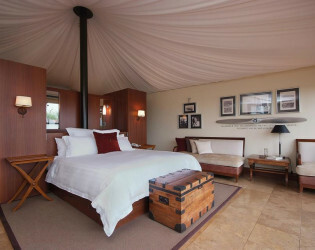 Room can be divided into two rooms. Any event held in the Lungkata function room will certainly be elevated to new grounds thanks to its high impact design. - View: A largely glassed function room, Lungkata uses panoramic views of the surroundings as inspirational, living artwork. 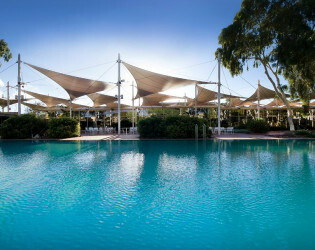 The Sails in the Desert poolside area is an expansive outdoor venue. The space is highly adaptable. It can be transformed into a formal dinner setting or casual venue for a cocktail party. 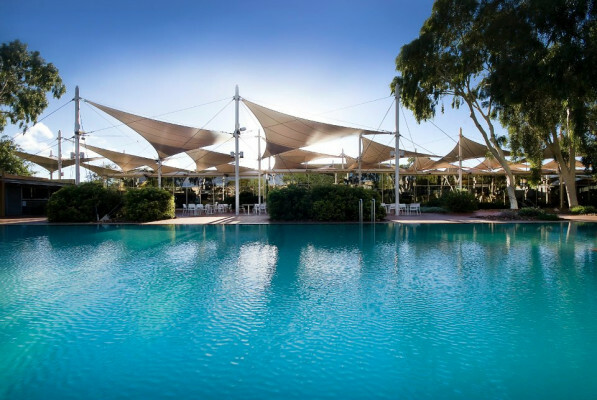 - View: Sails in the Desert gardens and the pool. The Uluru Lookout is situated on a dune top offering an ideal backdrop overlooking Uluru and Kata Tjuta. A perfect location for a sunset wedding ceremony or cocktail event. The venue for our signature Sounds of Silence experience, which offers the best of the Red Centre distilled into four magical hours. An evening of dining under the sparkling outback sky. Includes sunset canapes and sparkling wine, a 3-course bush tucker inspired buffet dinner, Indigenous entertainment, star talk and star gazing & return transfers from your hotel. 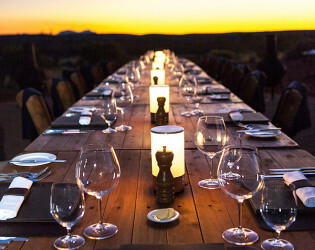 Sounds of Silence: An award-winning dining experience under the stars, \"Sounds of Silence\" is a unique event, offering the best of the Red Centre distilled into four unforgettable hours. 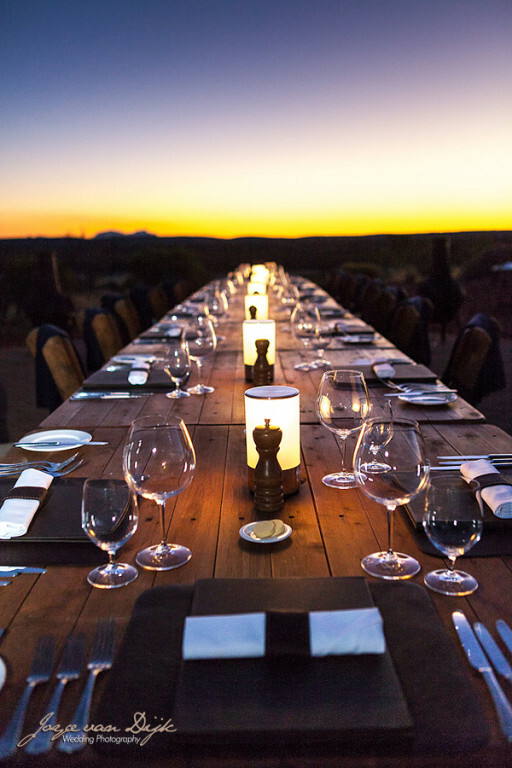 Tali Wiru: \'Tali Wiru\', meaning beautiful dune in local Anangu language, encapsulates the magic of fine dining under the Southern Desert sky. Limited to an intimate group of 20 people, the Tali Wiru experience begins with French Champagne and canapés around a firepit and progresses to the dune top for a Table d\'hote four-course dinner, matched with premium Australian wine. Ilkari Restaurant located at Sails in the Desert: offers buffet breakfast and dinner with live cooking station. White Gums located at Desert Gardens Hotel: offers buffet breakfast. Arnguli Grill located at Desert Gardens Hotel: offers an extensive menu boasting local Indigenous flavours for dinner. 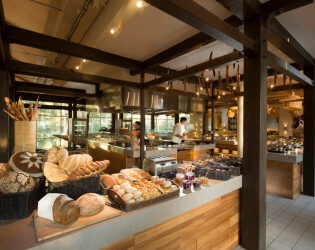 The Bough House Restaurant located at Outback Pioneer Hotel: offers a traditional Australian buffet breakfast and dinner. Pioneer BBQ and Bar located at Outback Pioneer Hotel: a do-it-yourself BBQ with traditional Aussie charm. Outback Pioneer Kitchen: a low priced alternative to restaurant dining for light meals and take-away. Ayers Wok Noodle Bar located at Resort Town Square: traditional Asian take away. Geckos Café located at Resort Town Square: gourmet pizzas, pastas and Aussie favourites including salads, burgers and sizzling steaks for lunch, dinner and takeaway. Kaluta Academy Café located at Resort Town Square: the menu includes a wide range of freshly prepared sandwiches along with salads and breakfast classics. 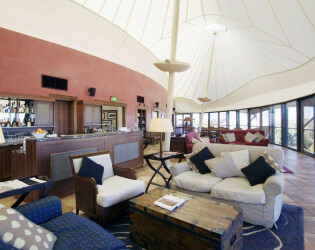 Walpa Lobby Bar located at Sails in the Desert: Contemporary and welcoming, a relaxed setting for coffee and cake, casual lunch or dinner, a pre-dinner drink or night cap after a sunset tour. Pira Pool Bar located at Sails in the Desert: a sun-kissed poolside setting for casual dining or a relaxed holiday cocktail. 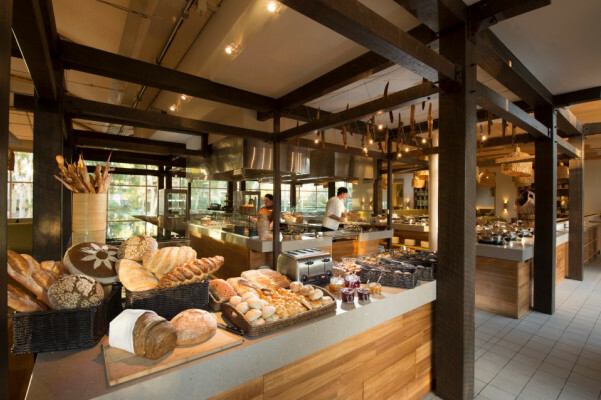 Bunya Bar located at Desert Gardens Hotel: offers an indoor and outdoor café experience and a wide range of light meals. The bar is also great for an afternoon tea or early evening cocktail. Pioneer BBQ and Bar located at Outback Pioneer Hotel: Meet up with your fellow travellers and enjoy live entertainment and an ice cold drink.